The beauty is that we come to you. Avoid the hassle of shipping costs and issues with fit. Shop for your next show, clinic, or outing on location with no trips to the tack shop. For barns and equestrian teams preparing for spring show season or a winter series, Mod Equestrian offers on site wardrobe seminars. Seminars provide updates on the latest show ring trends, insight into new styles making waves in the equestrian world, and education for new riders on building an appropriate show wardrobe. We also offer an opportunity to expand your love for equestrianism into your everyday wardrobe. The Mod Equestrian fashion truck adds a new dynamic to your clinic. 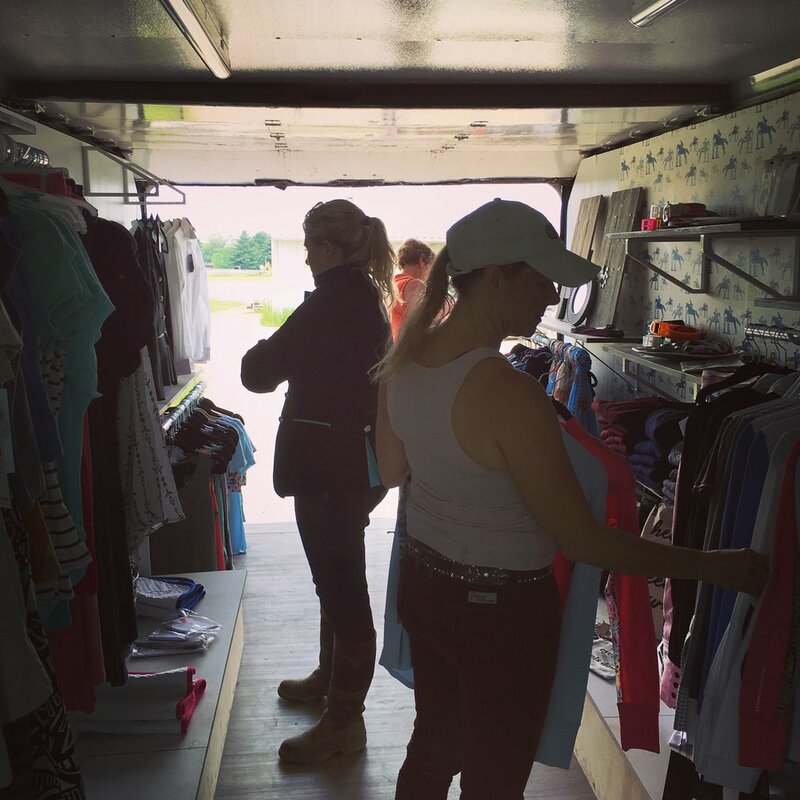 The fashion truck offers participants clothing for their ride and show season, and can attract more auditors to the event. Pair your clinic with one of our seminars for added educational value to participants. Hosting Mod Equestrian at your clinic is great way to give riders a complete experience. Sometimes it's just fun to get together with friends and family. Host a Barn Party at your farm and the fashion truck comes to you. Whether it's a group school, spring cleaning party, cook out, or team fundraiser. Mod Equestrian creates a fun and friendly atmosphere for each event. Barn and team gear embroidery programs are available.